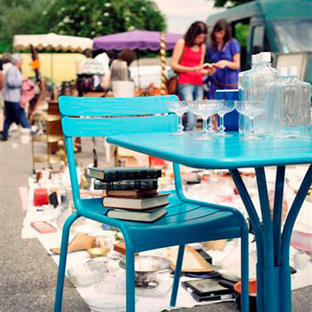 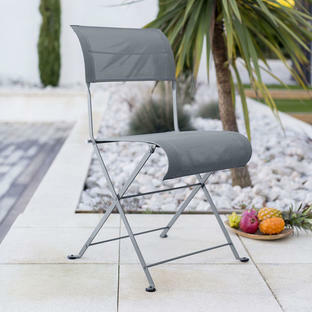 A bit of padding will give extra comfort to your outdoor chairs. 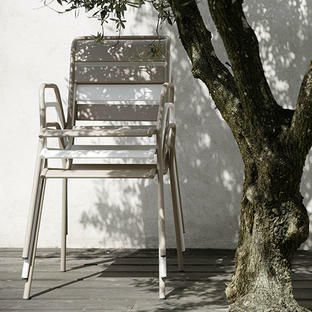 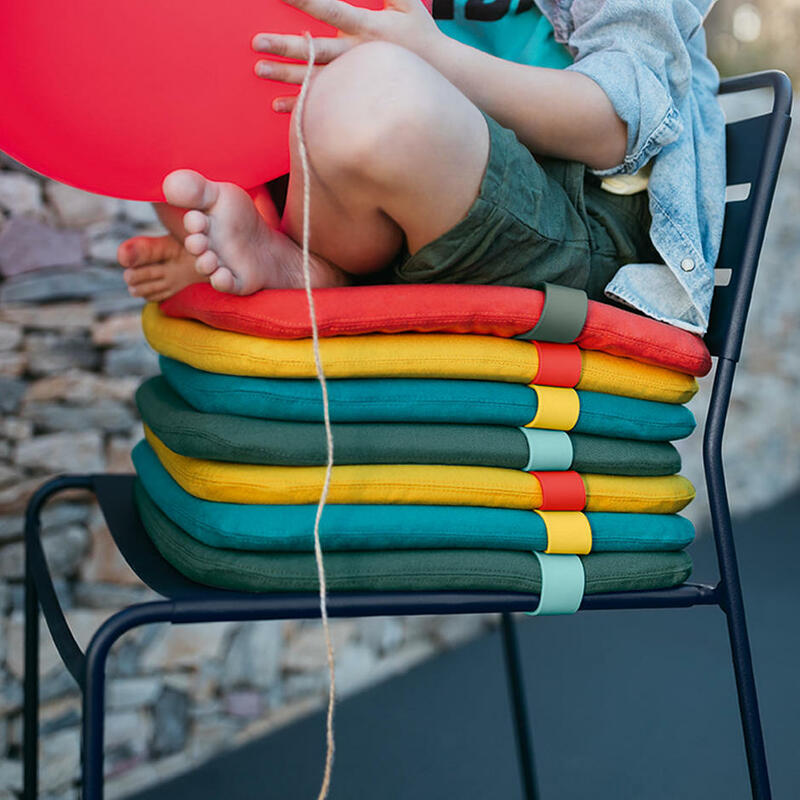 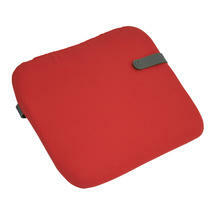 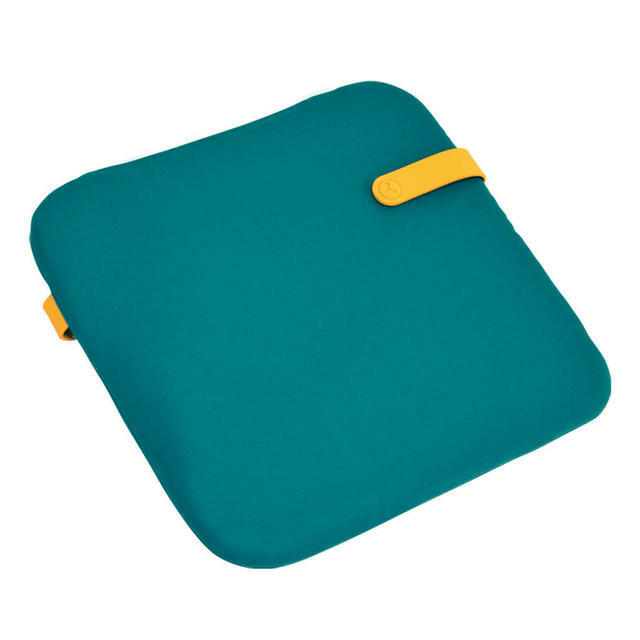 Made in outdoor fabric, with a padded foam filling and a rubber clip, so the cushions fit securely on the chair seats. 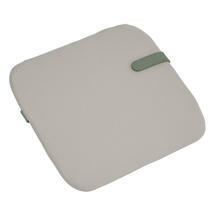 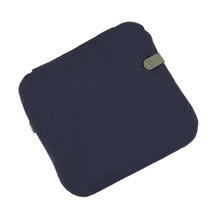 Fermob also make round cushion pads for their 1900 range and other round seats. The clip detail is in a synthetic rubber fabric. The wide elasticated band fits snuggly under the chair to hold the cushion in place.